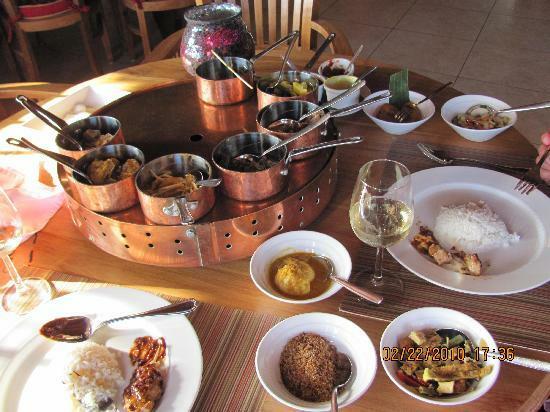 Do NOT leave Curaçao without sampling Indonesian rijsttafel. Got to hand it to the Dutch, they sure know how to pick awesome colonies! And their colonies continue to spice up (traditionally bland) Dutch food with exotic flavors and textures. 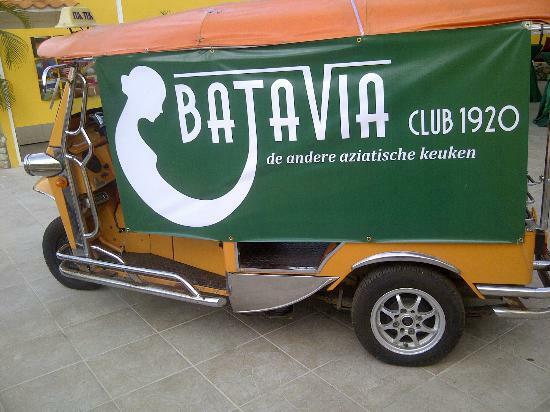 Though Indo-influences can be found all over Curaçao (hmmm peanut sauce! 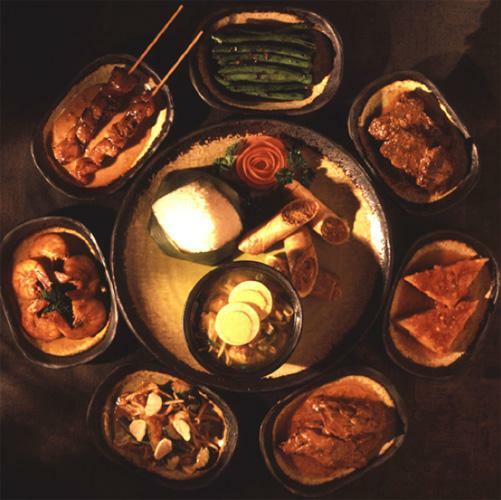 ), rijsttafel (= rice table) is truly out of this world… a banquet of 10+ Indo-Dutch tapas (chicken, pork, beef, prawns, fish or all-vegetarian)… served on a bed of fluffy, steamy rice. Dutch Colonial family enjoying a rijsttafel back in the day. Source: http://cookingwithoutborders.wordpress.com. 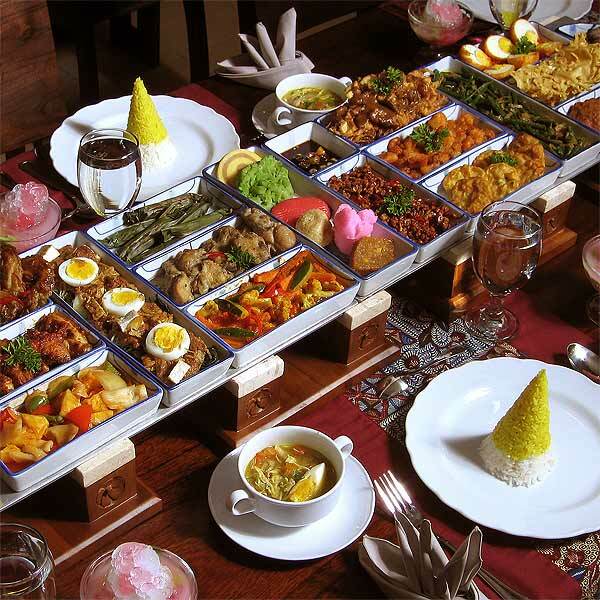 In Curaçao, Indonesian rijsttafel is served at Tempo Doeloe in Piscadera (a short drive from the Marriott, Hilton, Floris Suites hotels), Batavia Club 1920 in Penstraat (walking distance from the Avila Beach Hotel) and Curanesia on Sta. Rosaweg. 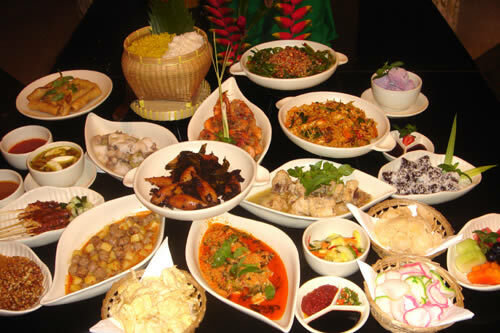 ** Sambal restaurant serves certain typical rijsttafel dishes but doesn’t offer a full banquet. Cabana‘s beach restaurant offers a Javanese buffet on Monday night; O Mundo restaurant offers their Javanese buffet on Saturday night. Curanesia also serves an excellent rijsttafel! On Santa Rosaweg. Yum,!